There's always a tough competition between popular restaurants. It's hard to choice to the best amongst the lot because good food is not the only parameter. There's service, ambiance and vibe - all of them need to be taken into consideration for a great experience. Therefore, TripAdvisor left it upto their users to decide the best fine dining restaurants in India. There are good restaurants, and then there are great ones. The good ones offer a pleasing experience and a tasty meal. However, just once in a while, you come across a restaurant which blows you away. 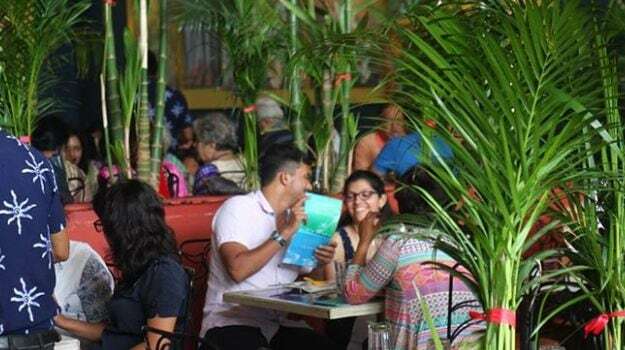 You may not go there often, the last time you visited may be months back, but you will always end up raving about it to others in conversations about food. 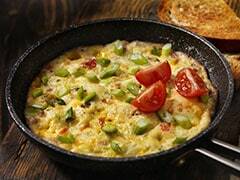 In a country like India where we love our food and restauranteurs keep upping the game in the culinary arena, it is difficult to come up with a ranking of best restaurants. However, as they say – ‘Consumer is king’. The diner is the best critic and an amalgamation of these diner based reviews weeds out biases. Here are the winners of TripAdvisor Travellers' Choice Awards for India’s 10 Best Fine-Dining Restaurants according to consumer reviews. How many have you eaten at? Indian Accent is pure magic and we can never get enough of it. 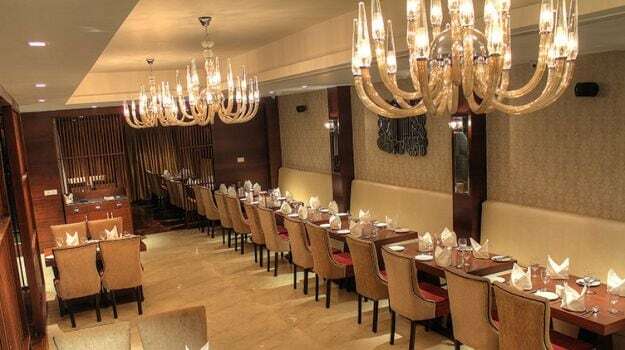 Arguably one of the only 2 restaurants in India that come close to international standards of Progressive Indian food, Indian Accent is in a league of its own. The centrepiece of a quiet boutique hotel in South Delhi, The Manor, it doesn’t attract walk ins due to its location. However, its popularity crosses borders and reservations are highly recommended if you would like to experience a meal here. The food celebrates regional dishes from across the country and presents them in unique ways, playing with flavour combinations and textures. Recommended for: A special occasion, birthday or anniversary. It comes a bit of a surprise that Peshawri beat Bukhara in this list as it is popularly known as Mumbai’s Bukhara. The detailing is where the restaurant scores. The menu is printed on wooden blocks, the crockery is earthy and the décor reminiscent of the rugged northwest frontier. Diners do find the wooden stools a tad uncomfortable for languid meals though. One look at this place and you will want to book the next flight over. Villa Maya is something that dreams are made of. Set in a painstakingly restored 18th century Dutch manor, the ambience speaks of timeless elegance. A variety of dining spaces are spread all over the bungalow, spilling into the picture perfect courtyard. 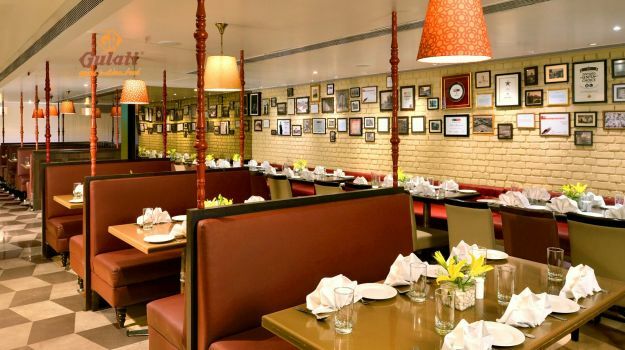 The food however, is as contemporary as the ambience in nostalgic. The menu pays homage to countries that were involved in spice trade with Kerala like Morocco and Italy. The name is iconic and it is doubtful that any foodie in the country would not have heard of this restaurant. The more popular cousin of Dum Pukht which sits in the same hotel as Bukhara, a meal at Bukhara is all about the experience. One does not feel like you are out only for a meal, you are treated like a king and for just a little while, this is your kingdom. Our Favourites: Dal Bukhara is legendary (albeit creamy and heavy). This one deserves its slot in the Top 10 and how. A little known jewel hidden across the Sabarmati River in Old Ahmedabad, it is set in a quaint haveli called ‘The House of MG’. If you’re in town and not staying at the haveli, you must make time to visit the restaurant for dinner. 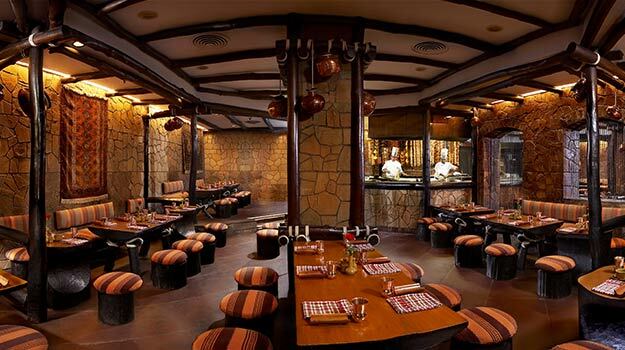 Though there is indoor seating, choose the terrace and sit back as you are served in traditional Gujarati style. The food is authentic and delicious. 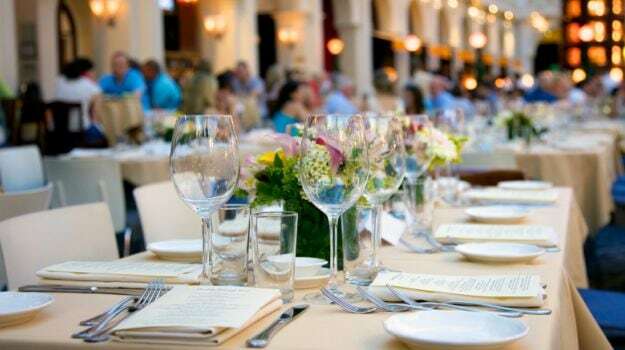 There is no a-la-carte menu, each guest is served an array of dishes from the region. 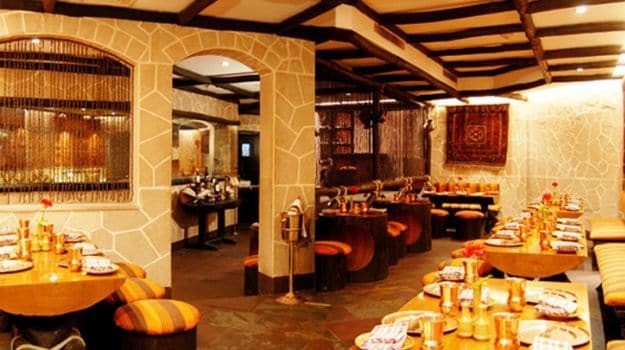 A huge space that drips with old-world charm, it has Afghani tones to the décor and a laid-back ambience. 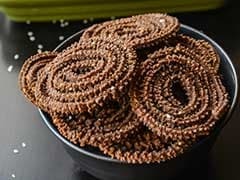 The food too, is influenced by the cuisines of the North-West Frontier. 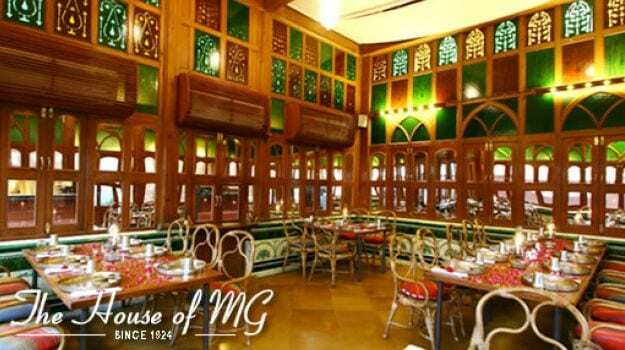 A trip all the way to South Mumbai is recommended, so you can experience a meal here. If you were wondering why only metros dominate these lists, here’s a breath of fresh air. 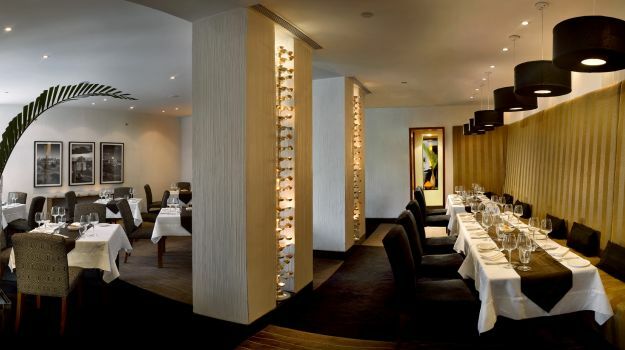 Certainly the best South-East Asian food in the city, head here is you love seafood. The dishes are authentic and flavourful. The restaurant is divided into various seating options. Malaka Art is about dining in the middle of a carefully curated art gallery. 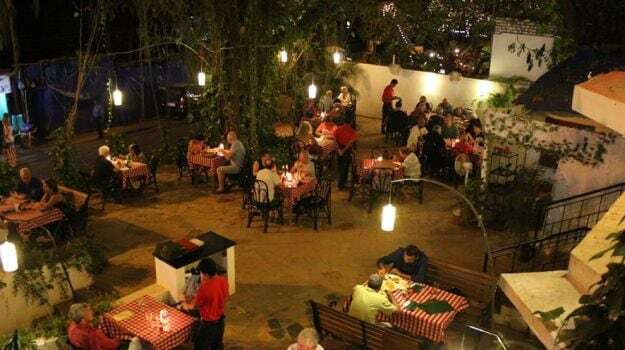 Malaka Classic is perfect for enjoying Pune’s weather in alfresco seating and Malka Street is the more informal space. Nothing beats good ol’ hearty North Indian food when it comes to indulgence. Not one for the faint hearted, the food at Gulati is delicious and sinful. They do not spare the cream or the ghee and thus the curries and daals are heavy, though delectable. It’s usually overflowing with people and getting a table can take some time if you don’t reserve in advance. A trip to the Taj Mahal may leave you in awe of the monument but there is another legend in town that you must not miss. Seeing this name in a list which has missed many iconic restaurants across the country like Masala Library, Dum Pukht, Indigo, Sevilla, etc., is a bit of a surprise. However, it’s always nice when the smaller towns start rubbing shoulders with their bigger cousins in terms of food excellence. Another surprise, we were half expecting to see Koi from Goa on this list here. 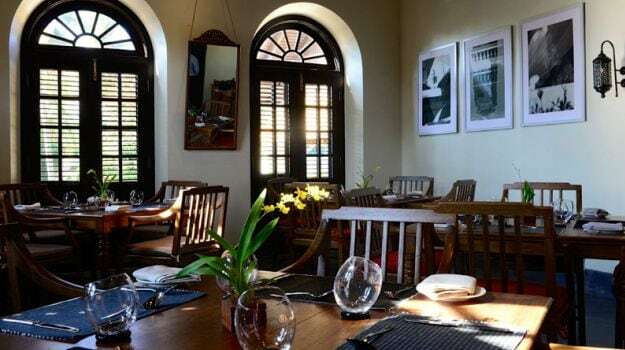 Tuscany Gardens is a relaxed space serving non-fussy Italian food, much in line with the vibe of Goa itself. The food is authentic and simple, but then it is the simple things in life that often give us the most pleasure. You may sit indoor or enjoy the lovely alfresco seating area. The food is delicious and flavours, clean.